Cheeca Lodge & Spa is one of the most enchanting places I have ever been fortunate enough to visit. Sadly, last September, Hurricane Irma destroyed a large part of this incredible property. I am not surprised that Cheeca has announced that they will come back better than ever. My question is, how does paradise improve? Since my husband and I had never been to the Keys, we did quite a bit of exploring during our stay at Cheeca. However, I still regret not getting to spend more time at the amazing resort! 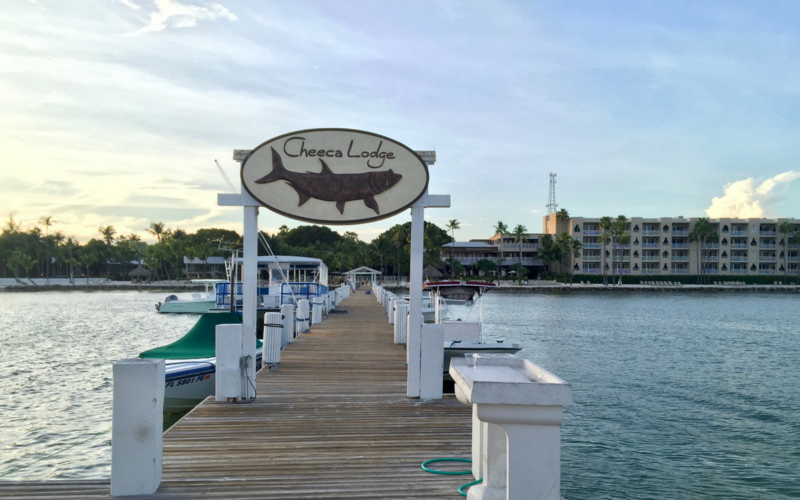 We could have spent the entire trip at Cheeca and been completely satisfied. I am no fisherwoman but can certainly appreciate a genius amenity when I discover one. Cheeca makes magic happen for fishing enthusiasts by offering such a possibility. If you like to fish (and can catch one), you can have your catch prepared for dinner in your style of choice at the onsite Atlantic’s Edge restaurant. You don’t have to travel very far to catch a fish, either. 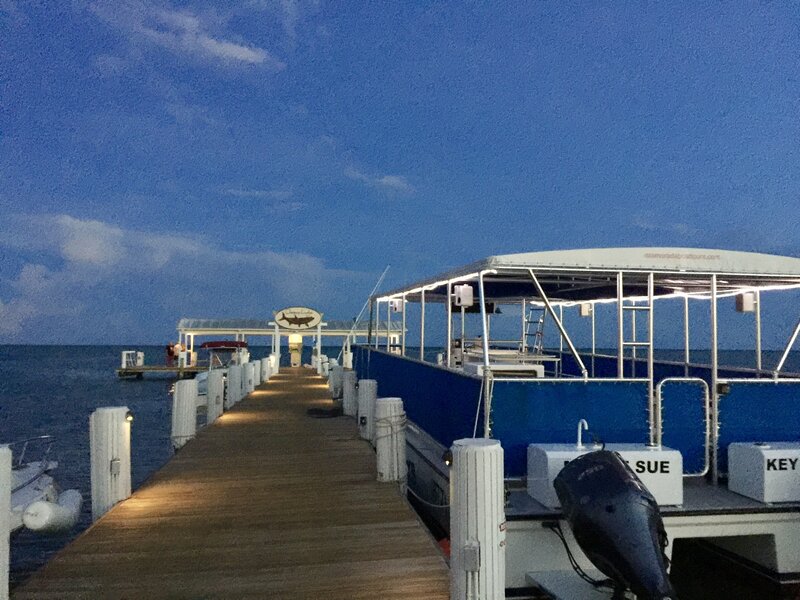 Just take a stroll down the stunning dock or hop on a boat right from the waterfront resort. What a perfect place for fishing fanatics! 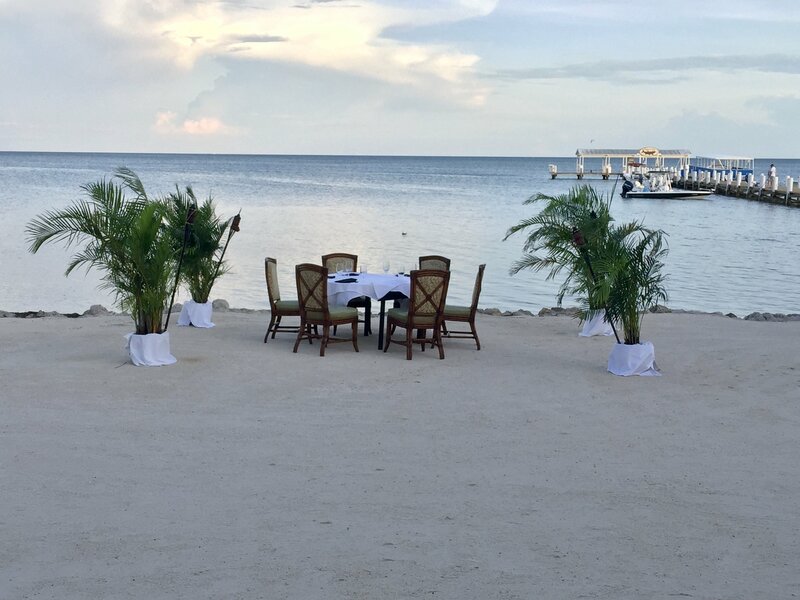 Private dining right on the beach is available to reserve, but if that is not in the budget, have no fear. 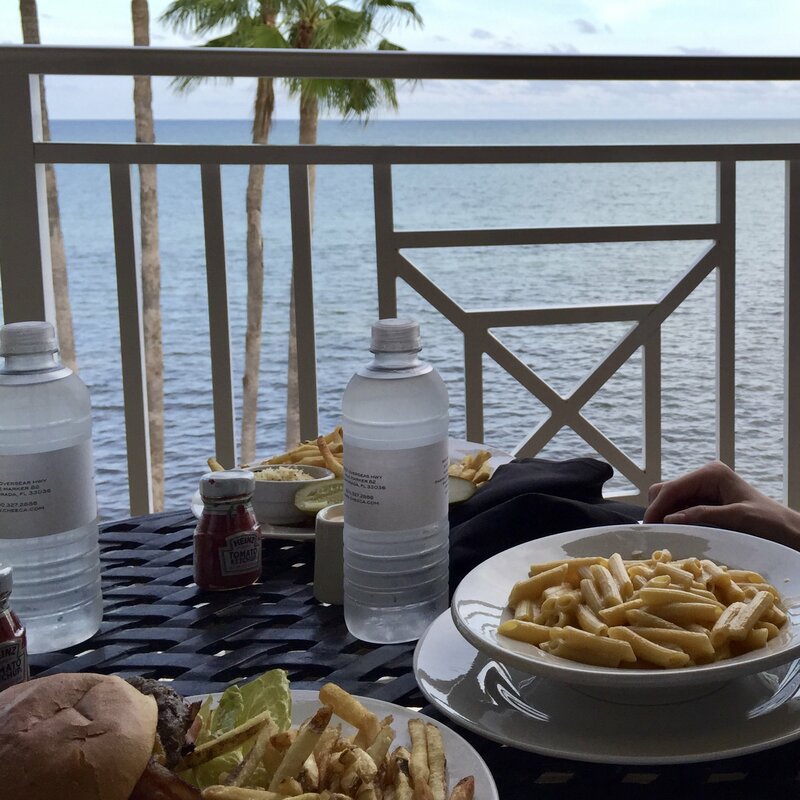 You can still head to Atlantic’s Edge for a front row seat to the calming ocean water. 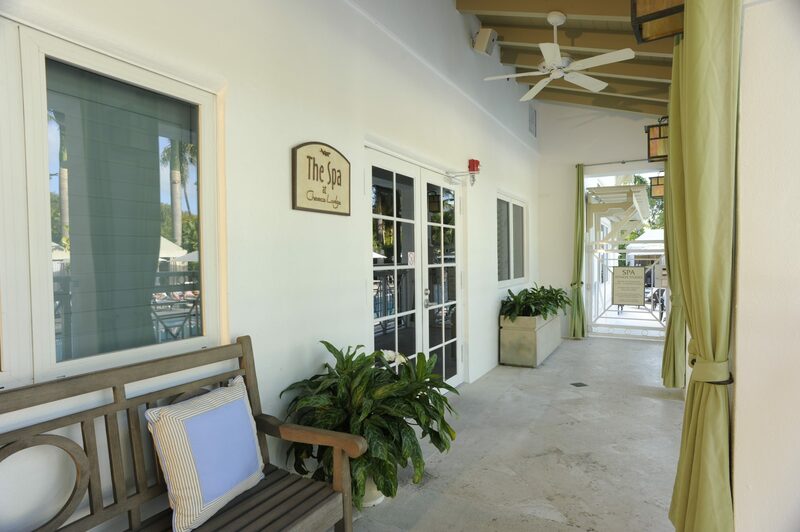 You can also dine at the open-air Tiki Bar, Nikai Sushi Bar or Limoncello, a Tuscan inspired Italian restaurant. For those of us who do not fish, another option is available. Cheeca has an onsite spa that looks to be what dreams are made of. I will add this to my list of things to do next time since I missed out on this before. I did catch a great view of the spa area since there is a nice pool for adults only available to all resort guests. This was another perfect spot to enjoy the vacation! 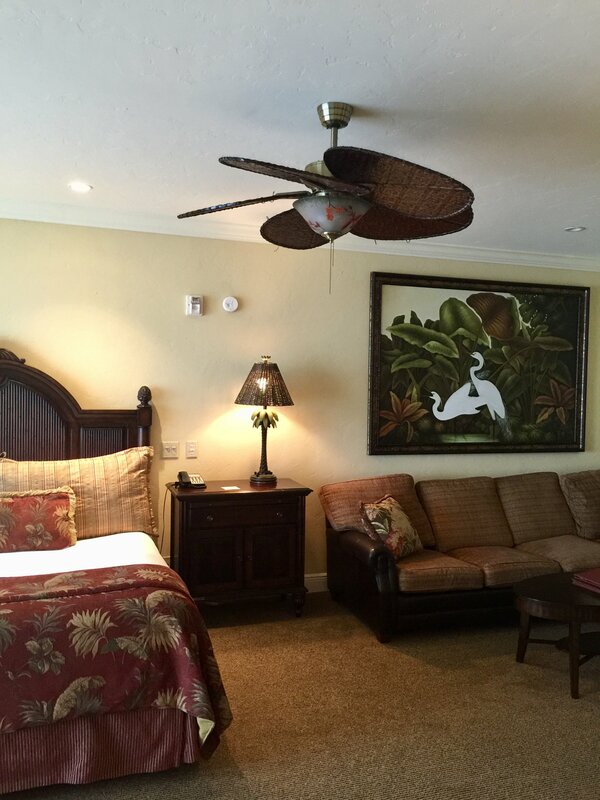 Based on the menu, you can even get a massage in your room or oceanside. Talk about a home away from home! 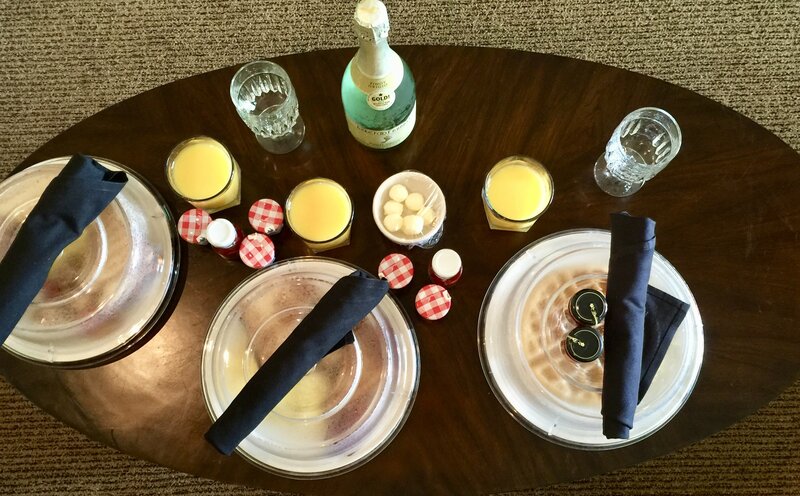 I traveled with my hubby but our room could have easily hosted four, without feeling cramped at all. The view at Cheeca is droolworthy, as the surrounding scenery is endless turquoise water. The most jaw-dropping part of the actual resort however, is the first thing that sold me on booking a room…an on-balcony soaking tub overlooking the stunning Gulf of Mexico. Wow, just WOW! I am not sure I have ever been more relaxed in my entire life. Having a glass of champagne while relaxing in the tub with a phenomenal view is my kind of vacation! 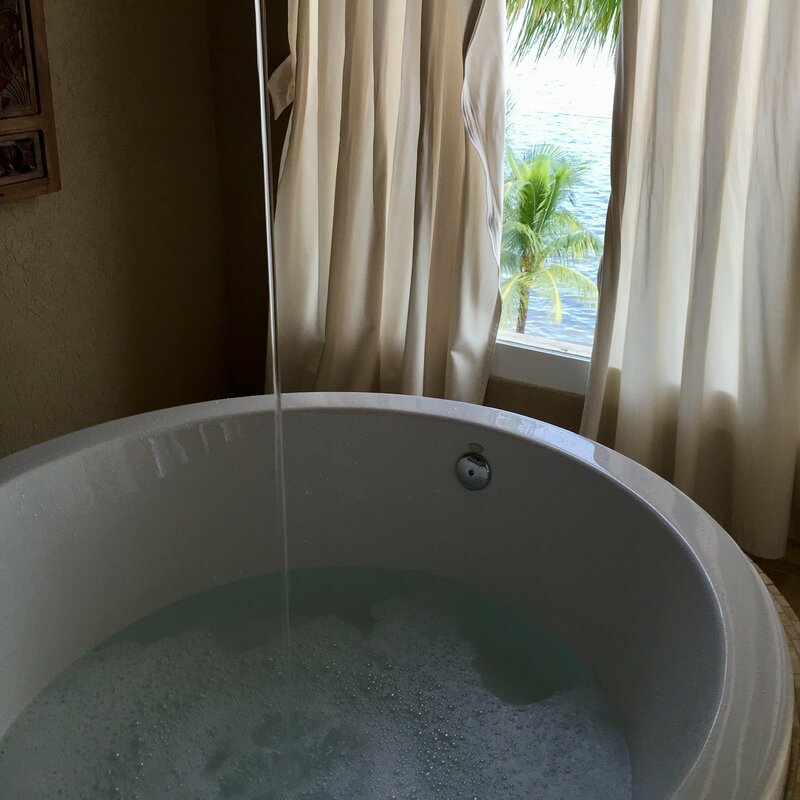 When we weren’t exploring the different Keys, we spent time in the room soaking in the tub, the view and ordering room service. I would have been happy to stay in the room the entire time. I cannot wait to see what Cheeca has in store for the future! My aunt and uncle, Cynthia and Carl Twitchell, built the original Cheeca Lodge…..the name is a combination of her nickname,Chee, and the first two letters of his name Carl…… so happy to see that their original vision still has been carried on. Hi Cynthia! Wow, how interesting! I had no idea that is where the name “Cheeca” came from, but I have always loved the name. I hope your aunt and uncle let you come by for lots of visits 🙂 I bet that would be such a fun place for family reunions. Thanks for sharing this and for stopping by! We spent so many school vacations there in the early days……made my first scuba dive there….it was fantasy land! Wow, how incredible! Such a perfect place to take a scuba diving trip, too. That truly does sound like a fantasy land! 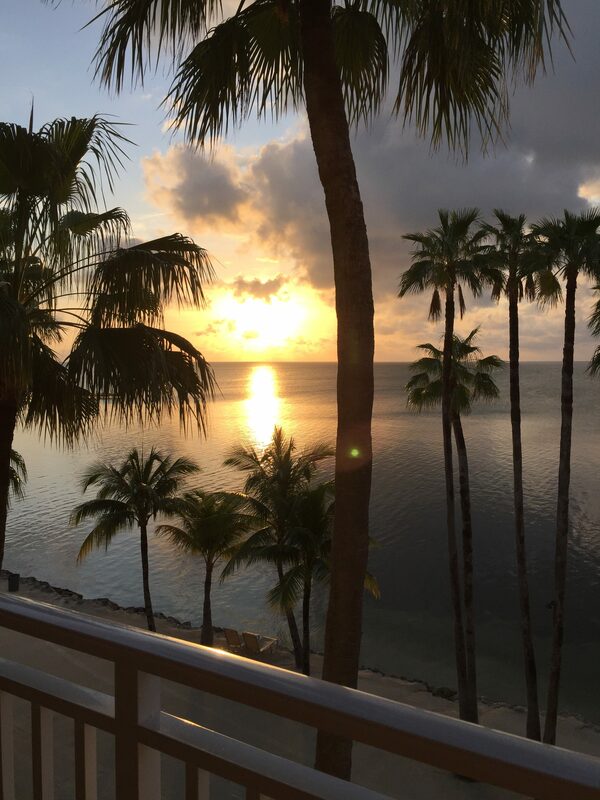 Me and my sister are in love with the resort and Islamorada. Best vacay EVER!